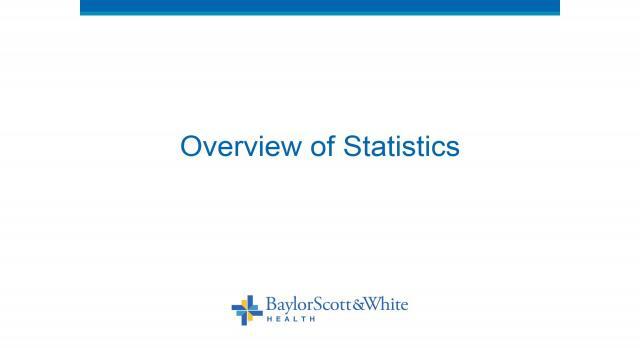 OBJECTIVES: Identify basic definitions used in statistics. Identify different types of data and how to best summarize them. Define the basic concept of hypothesis testing and parameter estimation. Explain how to interpret the results of a statistical test or a confidence interval.